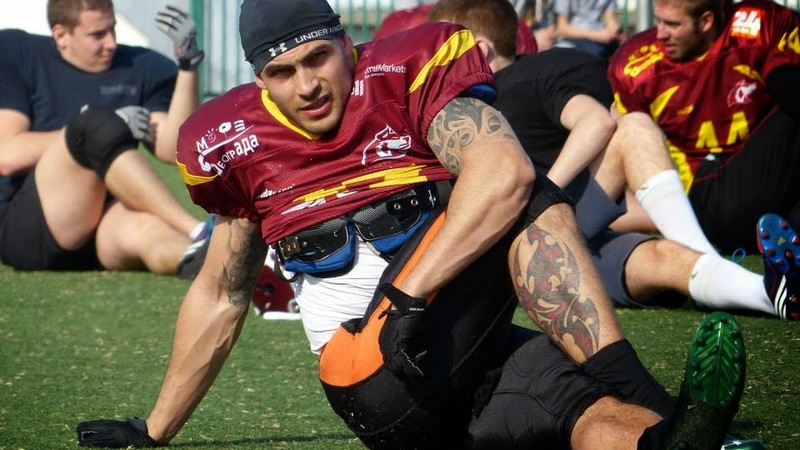 Recently we have received a red flag alert from Filip Vezmar who was contacted by someone pretending to represent a team from the UK - Manchester Titans. Of course, team had nothing to do with this. To make things even more interesting, the scammer used Titans HC information, and this can easily go under identity theft. Vezmar was in touch with someone who he thought was a representative of the Manchester team. 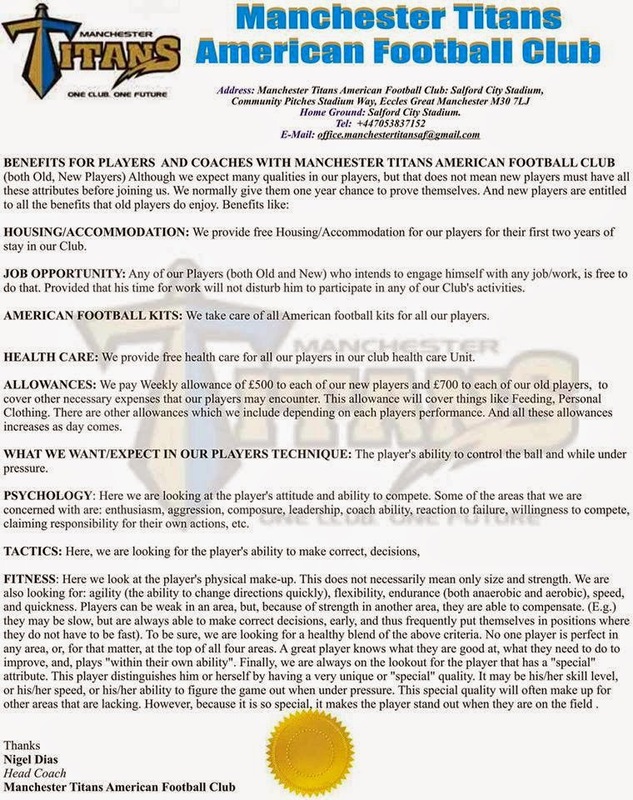 Story seemed legit - a team looking for players. However, it became fishy once the "representative" asked for money to handle the players paperwork. Only 850 pounds (1060 eur) to be sent via MoneyGram. Filip reached out to us to check the background of this story and to warn anyone else who may be contacted in the same manner. "Once I saw that the team is looking for players, I've sent in my resume. It happened via chat. 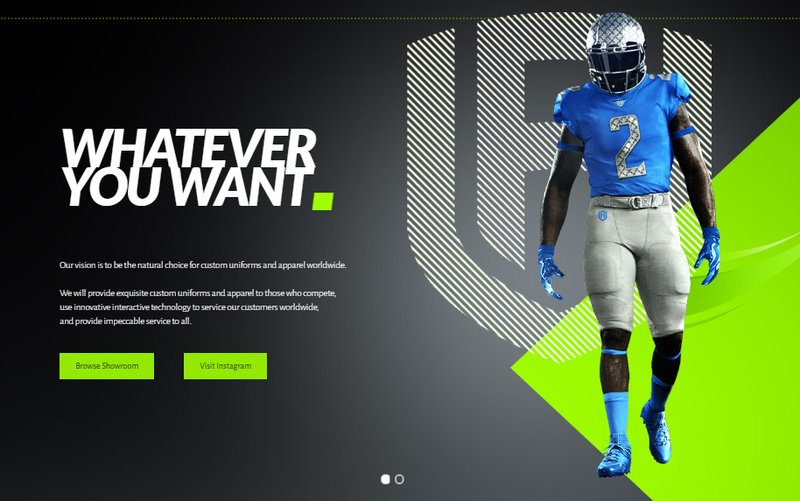 Once I looked for the team page on the website where the conversation was started, I couldn't find it. All of a sudden, 5 minutes later - it showed up. The only contact for the team was "Dias Nigel", who I believe doesn't even know his name was used for this. Profile disappeared couple minutes later after I have received the e-mail I should reach out to. It seemed like a scam from the get go, but I still sent an e-mail to see what will happen. I'm enclosing these e-mails under. I wanted to let everyone know that there are scammers out there, especially with the fact that not a lot of players know how teams scout and sign players. I hope this will help others to be more careful when looking for a team." says Vezmar. Passport Photograph and also confirm your full contact address. will apply for Work Permit Entry to the UK (HSMP) for you. obtain all the necessary documentation on your behalf. Also note that you are to abide by all rules and regulations guiding our club. send an email, stating your approval or disapproval of this offer. alternatively you can scan the receipt and send it to our email. arrival to commence work with us as scheduled. We are looking forward to meet with you in our club. How are you doing?we just want to remember you about the process of your documentation,you are the only player delayoing us now. 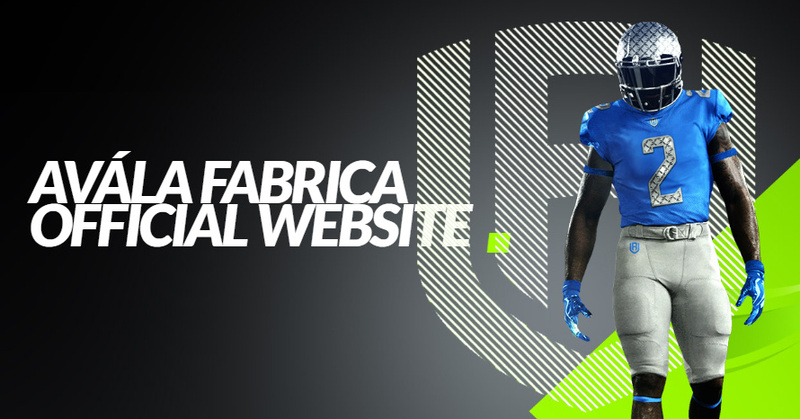 We are starting work on players papaers work which we have confirm their payment their payment. If you can try and make your payment today so that we can add your name to the list because we don't have much time to waste.Hope you understand? With Filip's help, we have reached out to the Manchester Titans team which had no idea that this was happening. 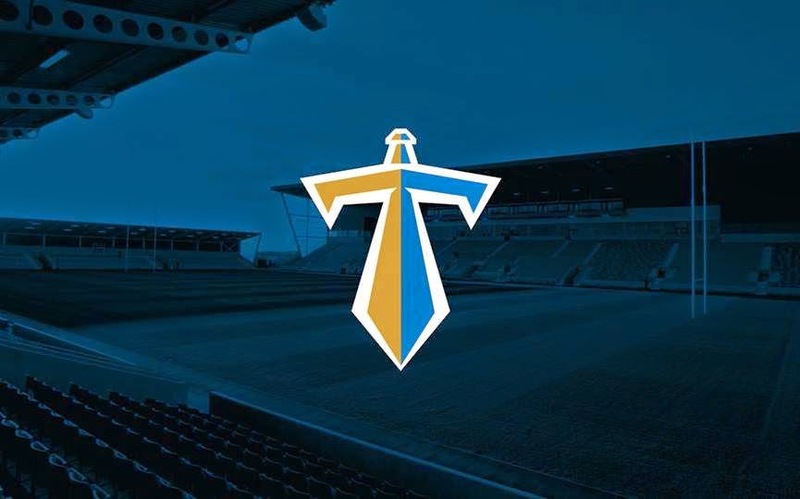 "The Manchester Titans would like to take this opportunity to state that no member of the club is, or has been in the past, involved with any of the practices highlighted by Touchdown Europe. 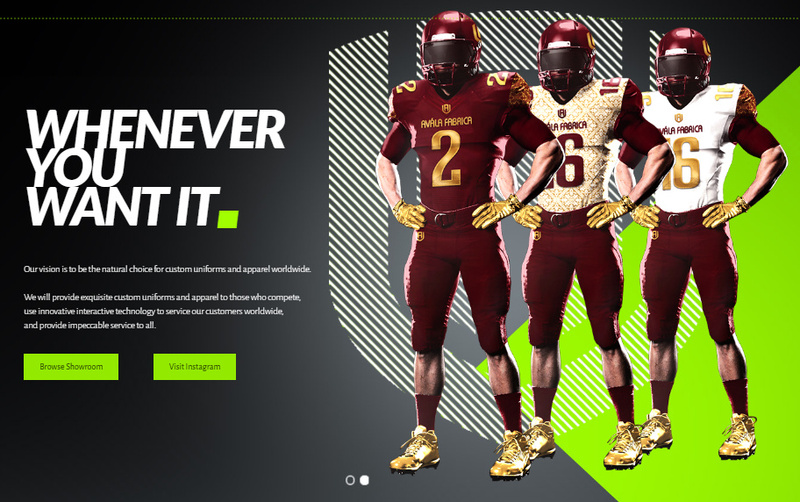 We would also like to thank Touchdown Europe for bringing this into the public eye so that hopefully nobody else in the Football community falls victim to these scams. It is unfortunate that our name, and that of our Head Coach Nigel Dias has been used in an unsavory manner. 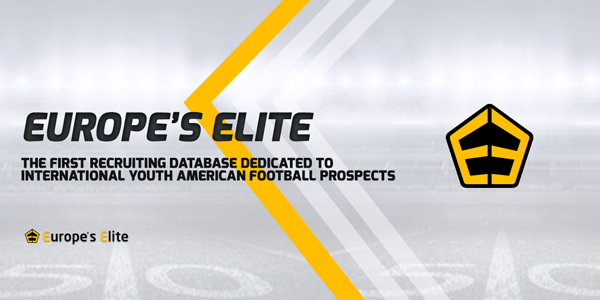 With the growing profile of the sport, the publicly available information about the club and Coach Dias' history in European American Football this is a risk that we and all clubs face. 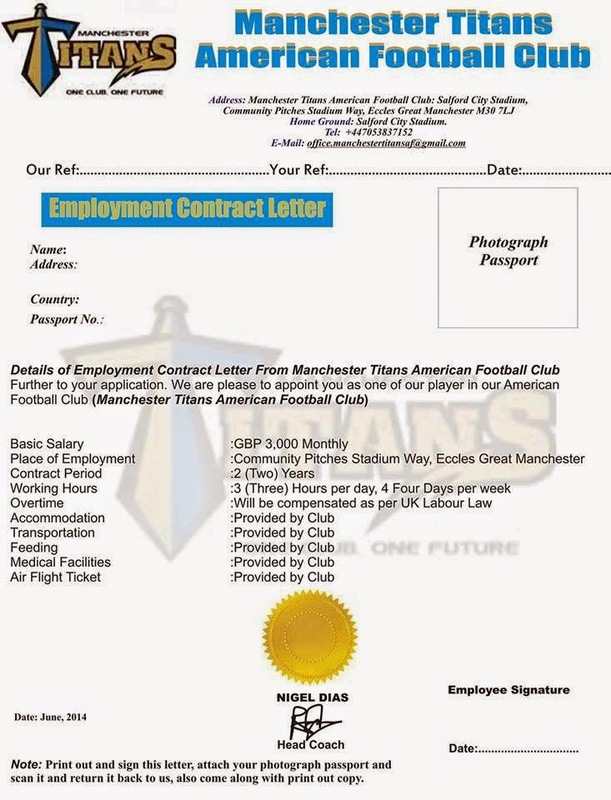 The Titans strongly urge anyone else contacted in such a manner in the future to contact the club through official channels to immediately verify the validity of any claims made with the Manchester Titans, or Coach Dias' name." says Jonathan Homer, Titans GM. We hope everyone who got contacted by the scammer did their research and that no one sent the asked amount.